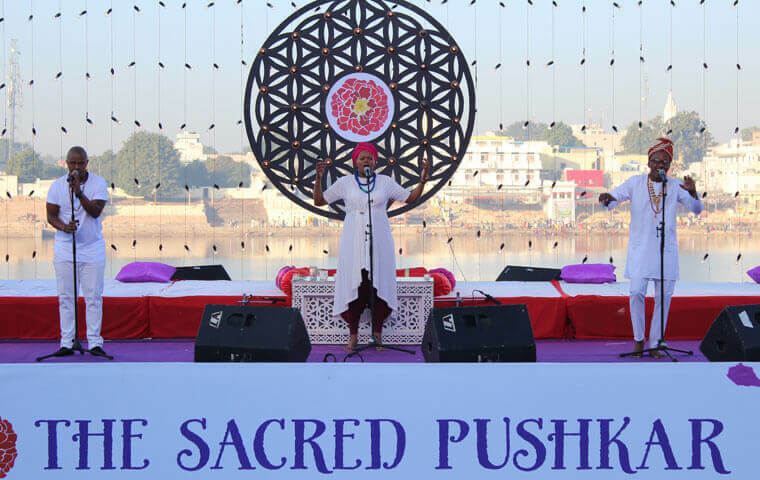 The music festival `The Sacred Pushkar’ by Teamwork Arts, offers a unique and holistic touristic experience. Pushkar in Rajasthan is one of the oldest towns in India and so also in the world. The Sacred Pushkar celebrates this ancient desert town and spiritual centre with a range of activities designed to invoke your `inner divine’. The festival now in its second year, is a diverse and eclectic mix of spiritual music, heritage walks, food sampling, yoga and some interesting workshops. 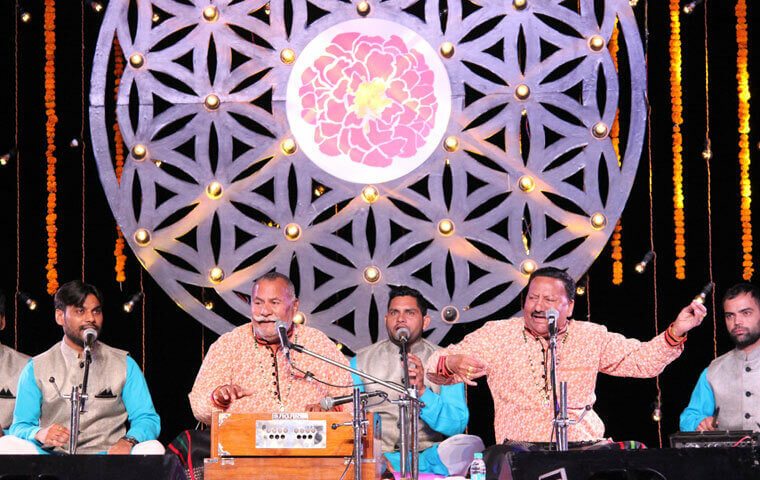 Different traditions of sacred music — folk, Sufi, instrumental, devotional and acapella during the festival become the medium for positive energy. Renowned national and international names such as Daler Mehendi, Shobha Virmani, Byambajargal (Mongolia), Nathuram Solanki and the Soil (South Africa) are part of the experience. 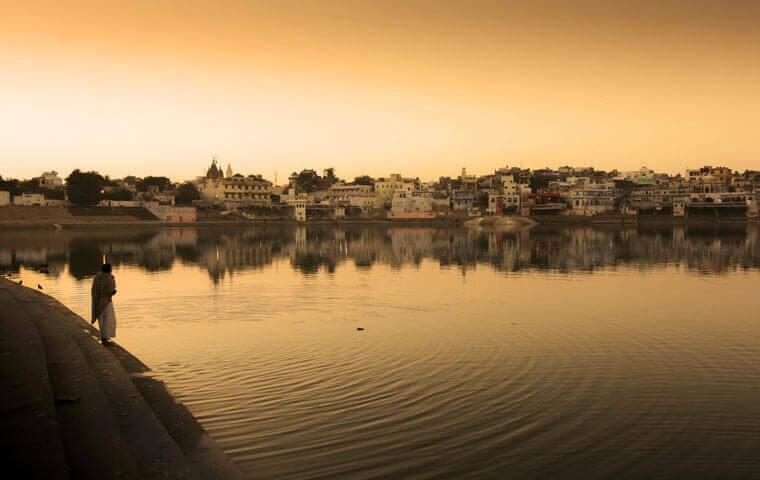 Pushkar lake, surrounded by 52 ghats and over 400 temples, is at the core of this poignant experience. Imagine yourself at the spectacular Maha Aartiperformed on the ghats against the pink hued winter evening sky. To extend this magical experience, the Maha Aarti will be followed by the Sacred Evening Music programme featuring singers Gundecha Bothers and percussionist Pandit Bhawani Shankar. The festival has its roots in openness, accessibility and inclusiveness. The programme is designed to draw the active participation of the visitors to make it a rejuvenating experience. So, walks through the winding lanes of this colourful desert town unveil its rich architectural, culinary and handicrafts’ heritage. The walks include the music processions to discover the secrets of the old Rangi temple, the rare Brahma temple, the 120 lingams of the Gwalior ghat, awakening of the old stones of the Varah ghat through local music such as brass bands, Chennai instrument, bhajans, and nagaras. Top it with the earthy flavours of delectable melt-in-your mouth maalpuas, chaat, kachoris, malai-mar-ke (topped with cream) lassi and raabdi. A `must do’ in the desert town is a camel ride — in the awe inspiring sand dunes in the cool weather and returning to a finale with a great line up of national and international stars delighting the audience with their outstanding music under the stars. Visualising festivals like the Sacred Pushkar is significant to the survival of our artistic traditions. The arts create both tangible and intangible wealth and need support from society and corporate houses in order to be nurtured. Teamwork Arts with is strong commitment to promoting Indian arts and artists is in forefront of curating rich cultural experiences for audiences across the globe through its mix of both classical and contemporary offerings of dance, music, theatre, food and much more. Sacred Pushkar promises to take your soul on a holiday and reinterpret your being. In the process, we and you will keep the artistic traditions and practices of our common heritage alive. Music transcends language, culture and religions. Music can almost magically transform our emotions. Music helps us to connect with ourselves and others. The universe is alive with natural sounds and rhythms; our breathing, our heartbeat, birdsong, the crashing of waves and the whisper of a breeze. Om chanting is the most basic form of spiritual music as it resonates at nature’s own frequency. But musical paths to enlightenment needn’t be limited to chanting, singing hymns or bhajans or listening to devotional music. The extensive experimentation in musical field gives us a taste of diverse musical genres and a chance to experience new ways of connecting through music. ‘The Sacred’ is the festival which empowers us to connect better to ourselves and others and whilst developing our spirituality. The Sacred is a fusion of music, yoga and meditation. Teamwork Arts have thoughtfully selected different strands of uplifting music to create positive energy, evoke an enlightening atmosphere, and optimise the spiritual ambiance at Pushkar. The Sacred 2016 programme brings together an innovative range of music for the soul. Teamwork Art’s impressive line-up includes The Gundecha Brothers who have enthralled audiences around the world with their dhrupad music. Dhrupad originates from the ancient temples and is India’s oldest form of classical music. The Gundecha Brothers communicate to their listeners by invoking an atmosphere of peaceful contemplation through their music. Acapella is also on the menu at the sacred. The Soil, is an acapella group from South Africa. The singers consider themselves to be mediums for delivering messages they receive through song. 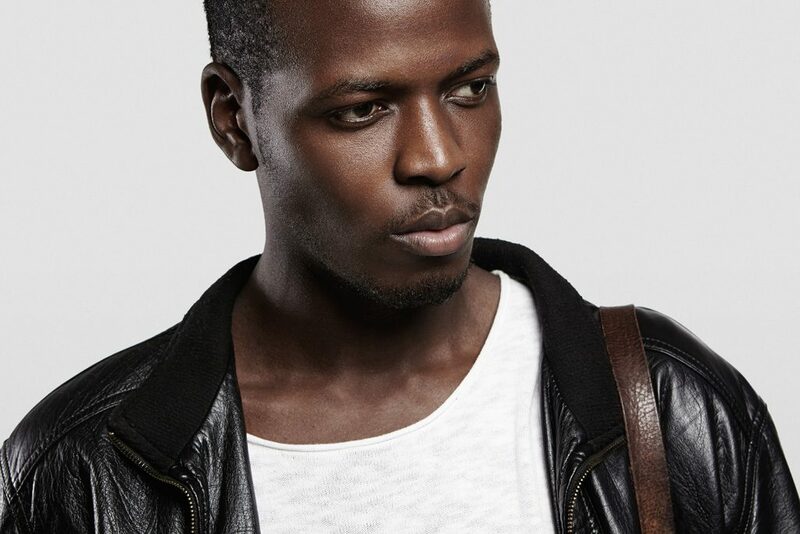 The Soil aspires to uplift the soul and heal through the power of sound alone. The group Soil has no instrumental accompaniment; they use their vocal chords expertly to create instrumental sounds. Vocal Rasta is a New Delhi based acapella group that will also be performing at The Sacred. Sufi music has gained popularity in the west. The pop Diva Madonna has recited Rumi poems to music and the new age guru Deepak Chopra has embraced Sufi music too. Sufis believe music is a powerful medium for connecting with the heart and moving closer to God. Sufi poets such as Amir Khusro and Rumi have inspired music ranging from qawalis to whirling dervish music. The free spirited Bengali singer, ParvathyBaul will be mesmerising Pushkar with her unique fusion of Baul and Sufi music. I am certain that at times music has tugged at your heart, or has put you in a reflective mood about the meaning of life. What are your thoughts on different strands of music and spirituality? Is there any music that has healed your soul or had a profound effect on you? Let us know which kind of music you connect with. Throughout history, Pushkar has been known as a pilgrimage for some and a hermitage for others. According to folklore, Pushkar stands for the Lotus flower which is said to be the seat of the Creator of the Universe, Lord Brahma, one of the holy trinity in the Hindu culture. The whole town of Pushkar is settled around the holy Pushkar Lake where the society, economy and tourism thrive. Revered by Hindus as one of the “Tirth — Yatra” destination, Pushkar attracts a lot of domestic as well as international tourists and pilgrims. The sacred Sanskrit epic, Mahabharat suggests that in order to complete Hindu pilgrimage’s cycle in the Indian subcontinent, one must tour the entire country. The pilgrim sets Pushkar as the starting point for the same and ends in Prayag, Allahabad, in a clockwise direction. Having said that, the importance of Pushkar needs no further intervention. There are five main temples in the city. All of these temples have undergone major reconstruction as the earlier buildings were demolished by the Mughal Emperor Aurangzeb in the 17th century. Apart from these, there are a number of other temples in Pushkar as well. The Brahma Temple is the focal point for pilgrims and tourists alike. One of the very few temples dedicated to Lord Brahma in the world, this one in Pushkar is at the epicentre of all of the temples! Throughout Pushkar, one can hear and imbibe the daily aartis conducted in the temple. The temple can be identified by the red spire and the image of the swan. The temple is constructed with marble and has a silver turtle on the floor. The sanctum sanctorum houses a four-faced or Chaturmukhi idol of Brahma. The Savitri Temple is situated on the Ratnagiri hills which is believed to be the abode of Goddess Savitri. According to the Indian mythology, Brahma performed yajna which Goddess Savitri was unable to attend on time. The ritual was attended by Gayatri who later became the second wife of Brahma. Upon this, Goddess Savitri felt annoyed and went atop the Ratnagiri hill. To please her, Brahma made an agreement that she will be worshipped first and then Gayatri will be worshipped which is continued till date. The Savitri Temple is the second most important temple in Pushkar. To reach the top, you need to cover 1.5km in around 650 steps. The view, however, makes up for the effort you put in. And the cool weather of December makes this ascent easy. The temple offers breath-taking views during sunrise. The Rangnath Temple is the largest and one of the most imposing of the modern temples. It is also a symbol of the inclusiveness of Pushkar and The Sacred Festival. The Rangnath Temple constructed in the South Indian style is located at the entrance to Pushkar. The temple is dedicated to Lord Vishnu. The holy rituals at the temple are performed by the Iyengars from Tamil Nadu. The Varaha Temple is the oldest temple in Pushkar and it is dedicated to Lord Vishnu’s third reincarnation, the Varaha or the Boar. According to the Hindu mythology, the Varaha incarnation of Lord Vishu rescued earth from the primeval waters where it was dragged by the Demon Hirnayaksh. The temple was demolished by the Ghaznavid army in 1123 and then by Aurangzeb. The early records about the temple state it to be 150 ft high and carved with master specimens. Even today after three centuries, despite being in a ramshackle condition, the temple oozes an impressive persona due to its age and holy importance. The Atmeshwar Temple is dedicated to Lord Shiva, one of the principal Hindu deities. Shiva is worshipped as the destroyer and restorer of the world. The temple is beautifully sculptured and offers vivid photographic opportunities. According to the Bhagwat Puran, the Chamunda Devi Temple is considered as the 27th Shakti Peeth. The Shakti Peeths are places of worship which are consecrated to Goddess Sati or Shakti, the female principle deity. According to the Hindu religion, the Shakti Peeths are the places where the various body parts of Sati fell after she sacrificed herself at a yajna performed by her father King Daksha. Temples were erected at the places where the body parts fell to commemorate different manifestations of the Goddess. At the Chamunda Devi in Pushkar, the wrists of Goddess Sati fell. The temple is considered ideal for Gayatri Sadhna. For those of you who are looking forward to exploring the sanctity of Pushakar’s temples, the ideal point to start is the Brahma temple. Not far from this, is the Mahadeva temple which is followed by the Varaha temple, just a few blocks away. Other temples such as the Atmeshwar, Apteshwar are all in the vicinity and can be accessed via walking or guided tours. The one temple which needs that little bit extra is the Savitri Devi temple which is situated on a hill top. You can opt to either access it at the beginning of your trip or in the end. The sanctity of Pushkar is brought to life with Teamwork Arts’ festival “The Sacred”. The festival intertwines a unique blend of yoga, music and meditation to celebrate the revered charm of Pushkar. The festival draws active participation from the visitors and offers memorable and unique activities to highlight the divine character of Pushkar. Can we change our Karma ? Do you feel that at times everything in your life is going wrong? You did your best and yet everything went the wrong way. You tried making lemonade when life gave you lemons but instead you got dillemmanade! Yes, the dilemma drink of life. And, while sipping this drink, epiphany strikes. Simple. Your misery was your bad karma. Karma is life throwing you the boomerang – what goes around comes around: the bedrock of all the major ancient philosophies of life — Buddhism, Hinduism, Jainism and Taoism. The good news is that there are ways to neutralise bad karma and cultivate benevolent Karma. Literally translated karma means ‘action’. In reality, our Karmas are tested by our actions. Actions begin from our thoughts. Changing our thinking, therefore can improve our actions. Actions which don’t invoke our bad Karma of the yester life, yet boost good Karma. We do have the power within us to change our way of thinking and somewhere our destiny. Developing a more positive outlook towards life is the beginning. By replacing greed, envy and anger with more balanced and compassionate thinking; we inflict less grief to ourselves and others. Recalibrating our thoughts to this zen state of mind is easier said than done given what all we have to go through and contend with in our lives — from Donald Trump to demonetisation. However, there are tools such as meditation and chanting that work towards correcting our brain activity by sending good vibrations. These vibrations can alter the energy aura around us. And taking this a step further, if we keep others in our thoughts while meditating we are able to send this positive energy and goodwill to them and our mindset becomes one of goodwill, our actions become kinder and we start to cultivate good Karma. Practices such as meditation and chanting require some commitment and strong inclination to start and sustain them. But salvation can also be discovered in the day to day and proximate. Food, music or the people around us can help us reinterpret our inner being. Epicureans were not very off the mark. The connect between mood and food is gaining widespread popularity. Secret of Good Mood is Good Food as one of India’s oldest restaurant Karims tells us. Choose organic, local, carb, non-carb, paleolithic, vegan, Jain, Hindu vegetarian, Hindu non-vegetarian if it presses your buttons then you are on the way to good karma. Some would argue that music will get you there even faster. Music after all nourishes the soul. Why is that all the religious places in the world use music as a means to communicate with devotees, higher power or the inner divine? Good music resonates with positive energy that is infectious and, yes karmic. And despite many wrong turns, one-way streets or cul de sac in life there was some good karma in your account for you to hear about the Sacred, the festival meant to invoke your inner divine through the various traditions of sacred music, spiritual practices such as healing, meditation and yoga and orientation to good food with Navdanya cooking workshops. A feast of spirituality in one of India’s oldest and most spiritual town, Pushkar. So, nurture your karma through yoga, music and meditation or simply soak up the music and positive energy of Pushkar. Do you believe in what you see ? Only recently, I caught myself yelling at my mother over the phone. The problem: it was the third time she’d called me that day. And she’d dragged me all the way out of my bed, into the drawing room, over to the god-forsaken pile of laundry I’d been neglecting all week, the pile, also, in which I’d somehow lost my phone earlier that day. Strange, considering how I’m usually grateful for her regular check in phone calls. And, not surprisingly, I was regretting the episode a few hours later. But then again, I was sleep deprived, pmsing, and exhausted to my physical limit from a work trip. And so, I caught myself getting over it, as with a guilty heart, I apologised to my mother the next day. I had been nasty, in an irritable moment, and had been blind to how my physical discomfort made me take it out on someone who wasn’t responsible for any of it. What we perceive, we see through the lens of our experience, and through the lens of our human limitations. German philosopher Immanuel Kant presented a theory of human experience that claims that even our absolute categories of time and space, through which we structure and understand the world are concepts endemic to humanity. In other words, these are conceptual structures that enable (or limit) our perception of the world around us. This is a thread of thought that has been drawn out through generations of philosophy. Well, think about it. Time seems to go slower when you’re in an uncomfortable spot, and yet, when you’re exponentially happy it seems to fly past, the moments that you wished lasted longer are over before you know it. Jose Luis Borges performs a refutation of the notion of linear, standard time, of time as we know it: ticking steadily and away on the clock. The clock tells us, as French philosopher Henri Bergson put it, that one minute and the next are same, that one hour and the next are the same. We have, he claims, somehow imprisoned our natural, immediate experience in this seemingly counter-intuitive notion of a continuous time, ignoring the very way we actually experience it. 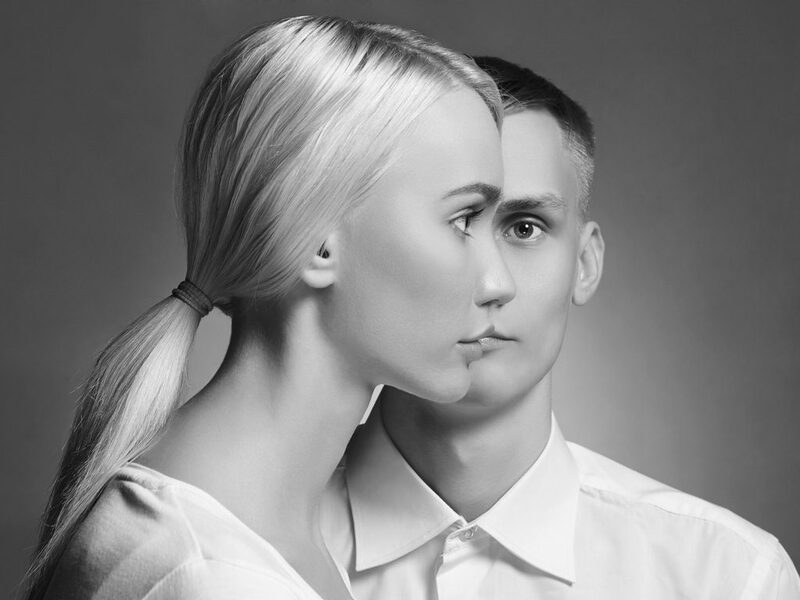 Psychological inquiries have long explored how the notion of an immediate experience and perception is a misunderstanding of how the human individual actually functions. People see and experience things through, and only through, states of the mind that are constantly shifting. The anecdote that I began with would make this clear. Our own biases and states of mind that guide our daily interactions unmistakeably are but invisible to us. If we live out our time, and time is a personal thing, what this means is that we, as human individuals, have but a potential for objectivity. The nature of human experience is such that our immediate experience blinds us to our biases, the personal and universal concepts and structures that we understand the world through. Think of it this way- the world, to a suicide bomber employed by a religious terrorist faction, seems like it is divided between the people that deserve to live, and people that deserve to die, when, well, it means so much more to you and me. Ancient traditions of Indian thought have often described phenomena in the world as dreamlike- the seeming inevitability of our most immediate experience becomes not so inevitable once this becomes clear. The trick consists in unravelling the significance of personal biases and concepts ingrained in our minds, to see things in their true significance. A lust for money may fuel your ambitions and actions at one point in life, but what drives you is likely to change, depending on the circumstances that you find yourself in. True, objective knowledge, the very possibility of objectivity, consists in understanding that experience is stained through the lens of subjectivity. Sacred Pushkar, an object for your subjectivity. Expand your senses, shift the circumstantial. We hope you were able to experience a different sense of time and being at Pushkar at this year’s edition.